I wish there were enough words to describe how much I love running on trails. It’s exhilarating. It’s primal. It’s freeing. It’s a way to exercise WHILE enjoying the outdoors …without inhaling exhaust from cars. 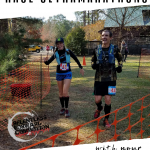 Unlike road running, which can often be boring and monotonous (in my opinion), trail running offers a refreshing change in scenery as well as an ever changing terrain adding to its difficulty. I don’t know the exact statistics, but I’d be willing to bet the majority of recreational runners are bound to the pavement, and view trail running as a novelty. 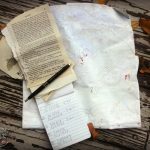 But with heading into the woods and onto the trails comes an entirely different set of rules, some of which are common sense, others which have a direct impact on the sustainability of the surrounding environment. 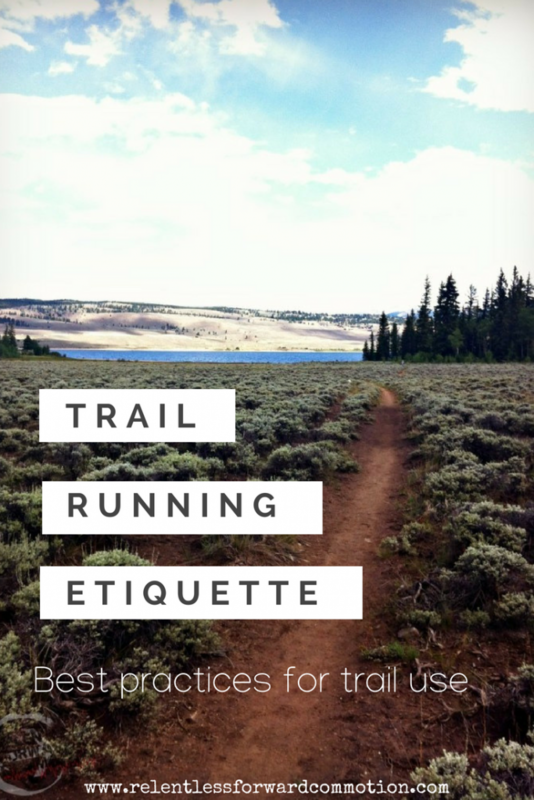 Following basic trail running etiquette ensures an enjoyable experience for all trail users, as well as ensuring the integrity of the trail for future users. 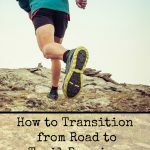 I’m certainly not the Emily Post of the trail running world, but hopefully these suggestions will come in useful for any of you who are new to the trail running world. Follow all Trail Markings and Postings, & Stay on Trail. What many people don’t realize is that more often than not, local trails merge in and out of public AND private property. Check for signs, warnings, and updates at the trail head before proceeding on your trail run. Respect any trail closures, and heed to all posted warnings. Respectfully staying on trail ensures that property owners will continue to allow users to enjoy the trail. If a sign says “no trespassing”, then as common sense would dictate: don’t trespass. From an environmental standpoint: staying on the trail helps to protect the natural surroundings, wildlife, and plants, as well as prevent erosion that could compromise the integrity of the trail. Often times trails will be rerouted to allow new growth, or even protect nesting birds. Remember, this is THEIR home. 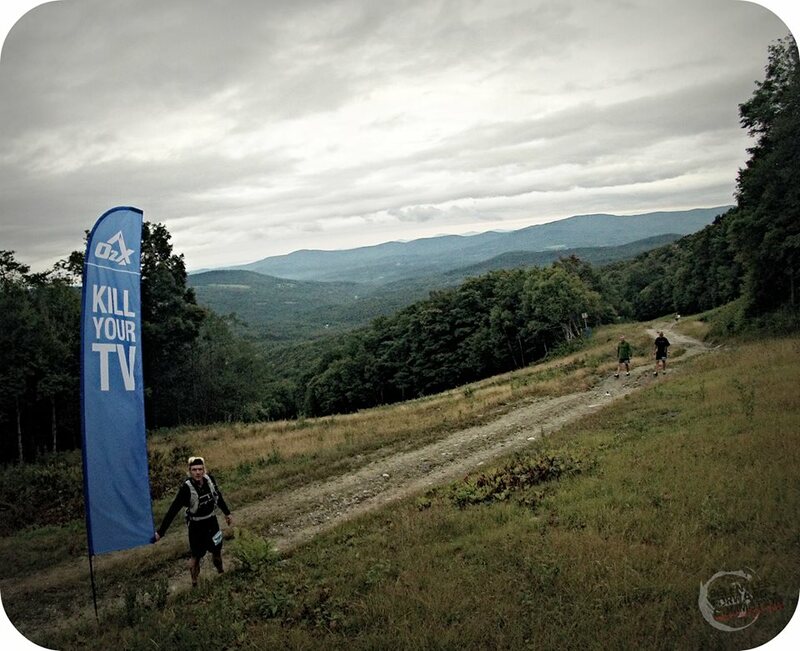 Pro tip: make sure you know which trail you are following. Similar to road traffic (at least in the United States), stay to the right when encountering another trail user headed in the opposite direction. (This leads me to wonder what side of the trail people run on in Europe? Hmmm…) If you must pass someone headed in the same direction, be sure to make your presence and intentions to pass known by shouting (politely, of course) “on your left” or “passing on your left”. This will prevent startling the other trail user, and will also give them opportunity to safely move to the right to allow you to pass. Be sure to always pass on the left. 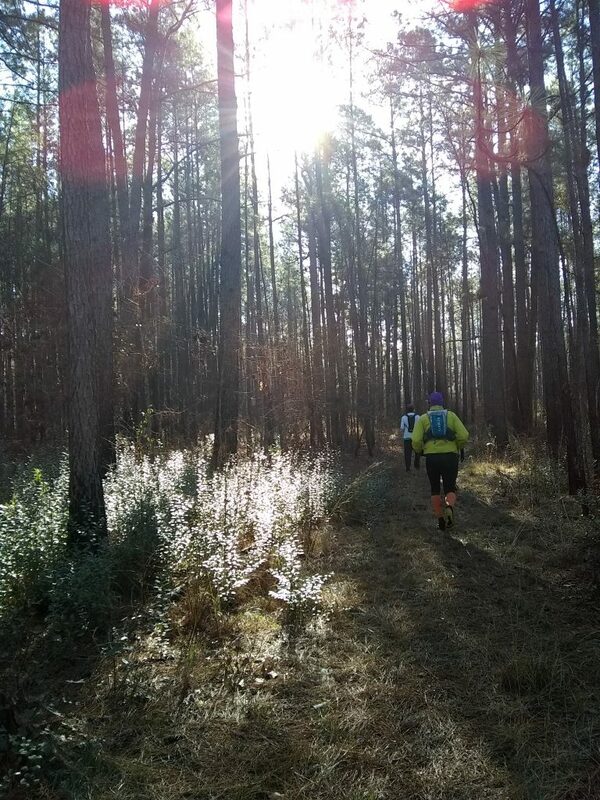 If a runner is approaching you from behind, be sure to stay to the far right when the trail allows, allowing the other person plenty of room to safely pass. On a related note, leave your headphones at home. The forest (desert, wherever you trail may be) is far too beautiful to be distracted by Jay-Z or Brittney Spears or whatever you young hooligans are listening to these days (I’m only kidding. Sort of). Plus, this way you’ll be able to hear if anyone …or anything (bear? Moose?) approaches from behind. If you absolutely insist on the iPod, make sure the volume is low enough that you can safely hear your surroundings. Faster traffic should always yield to slower traffic. This applies to walkers, runners, and cyclists. However, you may encounter a situation when this rule can be ignored, and instead common sense and courtesy may be applied. For example, if you are walking downhill, and a mountain biker is climbing the steep difficult hill, it is considerate to allow them the right of way in order to avoid having to stop on a difficult climb. Or, if you are on a very narrow trail, and it is MUCH easier for you to quickly step off of the trail, rather than have a mountain biker navigate some brush, rocks, etc…just step aside. Do you have the right of way? Technically, yeah. But is it the courteous and easy thing to just step aside? Yes. Earn your trail karma. Step aside. 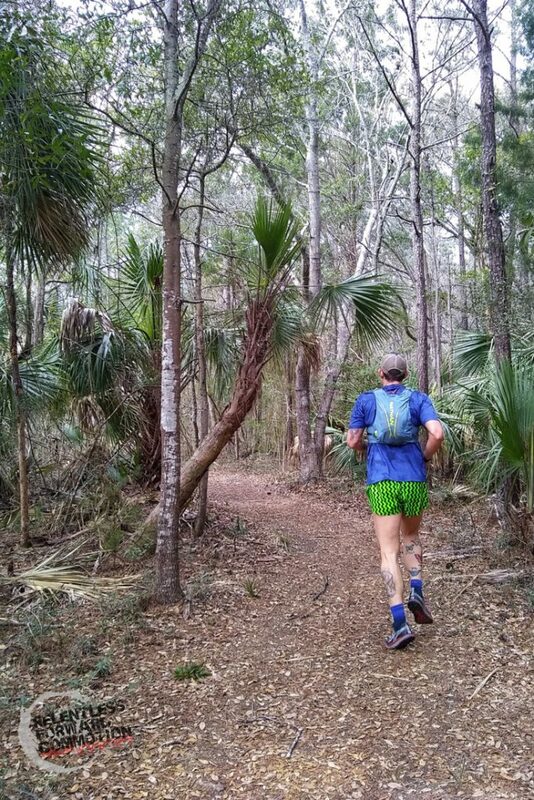 Even while racing, keep your trash; do NOT throw it on the trail. Wait for an aide station with a garbage can. 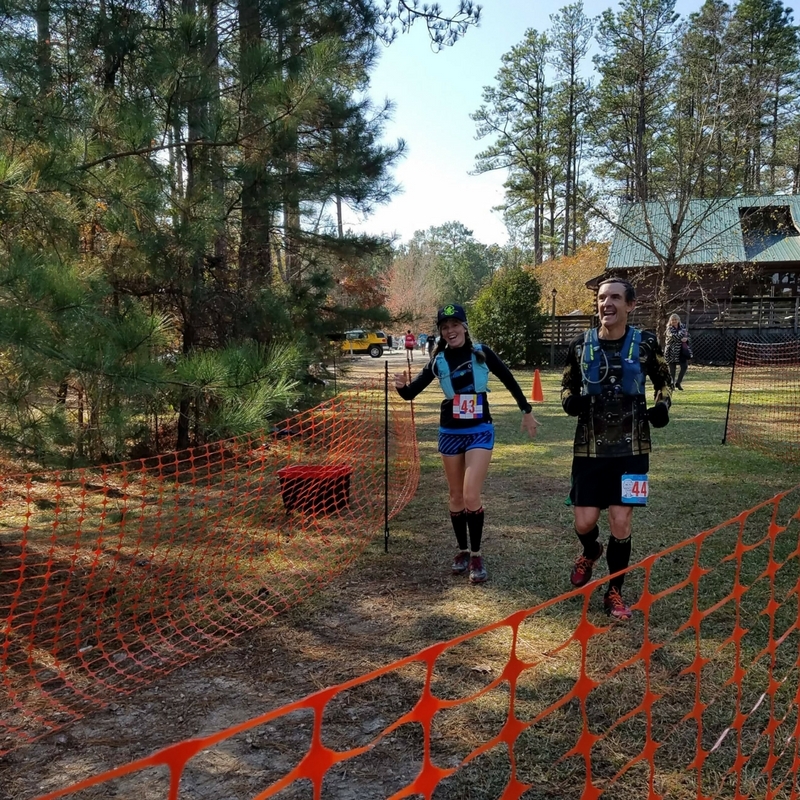 While race staff may come back through and clean up after the race, chances are high that your trash may be blown off the trail into the woods in the meantime. Don’t be that person: carry out what you carry in. Though already mentioned above, this topic is worthy of it’s own paragraph: be nice to the woodland creatures. While a trail is merely an outlet for physical activity for human beings, it is home to countless creatures that live in the forest. Be respectful of the wildlife by giving any animals you encounter the right of way. Do not disturb any sort of nest or habitat that you may encounter. Though it shouldn’t even have to be said: don’t chase anything. Follow basic safety guidelines to keep yourself AND everyone else on trail safe. Pay attention to what you are doing and where you are going in order to avoid collisions with other runners or riders. Pay attention to where you are going as to not get lost, and put others in danger if they have to come looking for you. Putting other runners and riders at risk by NOT paying attention to what you are doing is pretty selfish, and will totally negate the good trail karma you earned above by stepping off of the trail to let a bike pass. 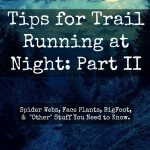 Check out the post “Trail Running Safety Tips” for a more in depth list of how to stay safe on the trails. By following these basic etiquette tips on your next trail run, you will help ensure an enjoyable experience not only for yourself, but for all trail users you may encounter. Further, respecting the trail itself as well as the natural surroundings will help protect the trail for future use and enjoyment. In Europe we run on the right side. England and Ireland are opposite. 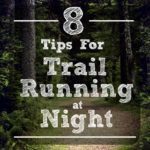 Thanks for the tips – this is really helpful since I haven’t run on trails in a while! I really hope to go on some trail runs when it warms up! I love in the PERFECT area for it (and it will be much safer than the roads anyway!) Such a great way to connect with nature too! Great tips! 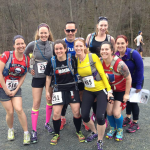 I’m hoping to include more trail running this year. 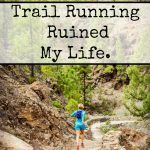 I love trail running but don’t do it nearly as much as I’d like. One of my goals this year is to leave the pavement behind more. It’s just so relaxing but a thrill at the same time. Those pics are badass! I have done some trail running though nothing like that. I totally ate it on my last run. 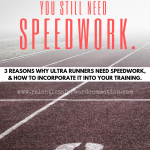 I guess I don’t do it as much because my pace per mile drops like 2-3 minutes and I hate that! But obviously I’m working just as hard. Need to forget about that I suppose lol I think I’m going to try more often come spring time. I moved recently and am a lot closer to a few trails now! Just a comment on your paragraph “Stay to the Right, Pass on the Left”, I live in Holland (for the unknown one of the countries in Europe) and we also stay to the right like most of the countries in Europe. It is actually traffic orientated as for instance in the UK they will stay to the left and pass on the right. And, in case you ever vist Australia, keep left and pass right. Tottttttally need these now that I”m spending more time on the trail!! Hi John! Thanks for your comment. All of the “they” referrals in your comment are me, I’m the author of this blog. And believe me when I assure you that maintaining trail integrity is of utmost concern to me! Depending on the trail substrate, runners and walkers simply do not create as much impact (or footprint, if you will) on wet trails as cyclists do. Most cyclists, trail builders, and trail maintanence crews will agree. That said, if your area experiences wildly heavy traffic, then absolutely, all traffic should stay off the trail. Here in Myrtle Beach we have “trail open” and “trail closed” signs. We teach our runners to obey the trail closures as well. Like most things in life, often times people do things not out of malign intent, but rather lack of understanding. All you can do is continue to educate! Thanks for reading!